Sometimes we’re amazed by the free software that is still being developed. There’s not nearly as much as there once was, and a lot of the new freeware that is being created is developed only as a ruse to get malware on your computer – there are still some good people around making great software. 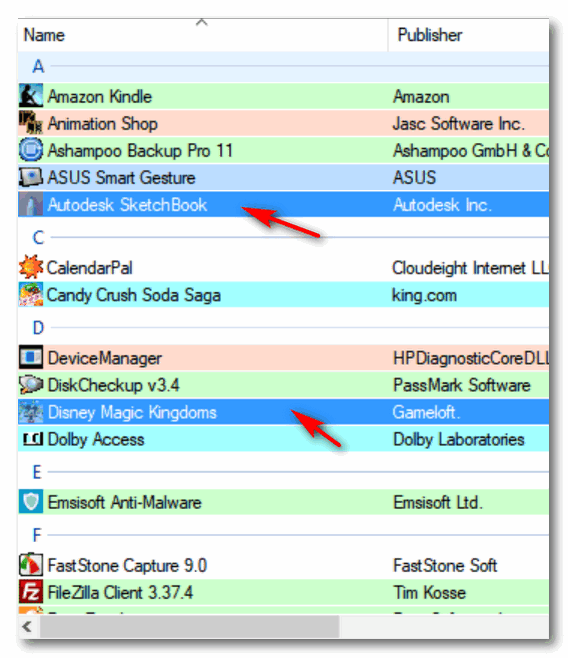 Today, we’re going to feature some great free software. It’s our latest discovery, BCUninstaller. BCUinstaller is an advanced uninstaller that has some very advanced features for advanced users, but also many simple, elegant features that ordinary users will benefit from. It’s a great uninstaller and a freeware program with something for everybody. 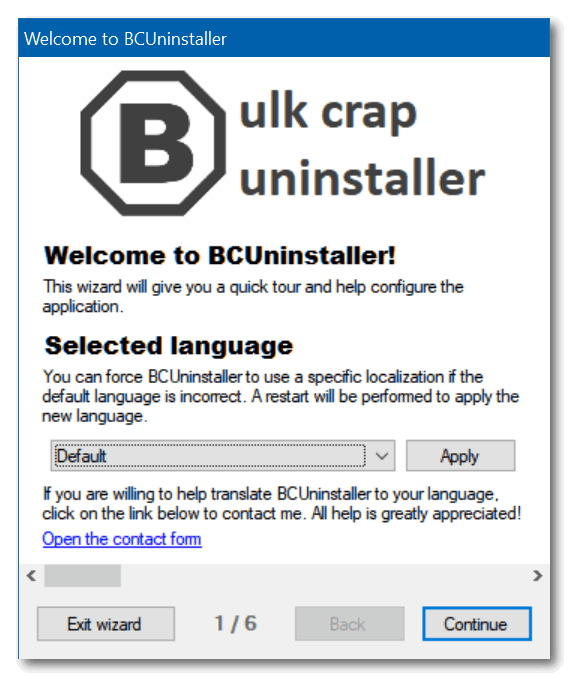 BCUninstaller (Bulk Crap Uninstaller) is an uninstaller designed to help computer users to uninstall a single program or a large number of programs quickly, easily and completely. 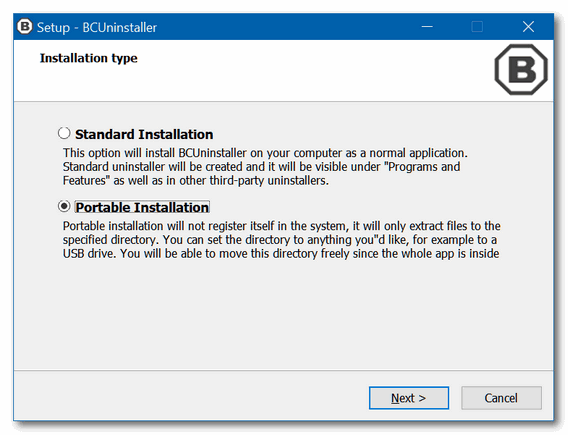 After you download and install the program (or choose the built-in Portable option), BCUninstaller will scan your computer for a few minutes digging deep to find all of your programs and their associated files and registry entries. 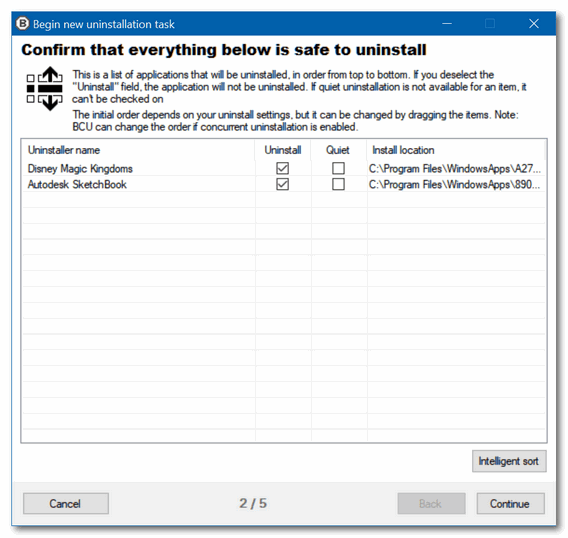 You can choose to remove as many programs and apps as you want, and BCUninstaller will launch each uninstall process and all you have to do is confirm the deletion. Or you can choose “Quiet uninstall” which will attempt to uninstall all the programs and apps you’ve selected without any user interaction. 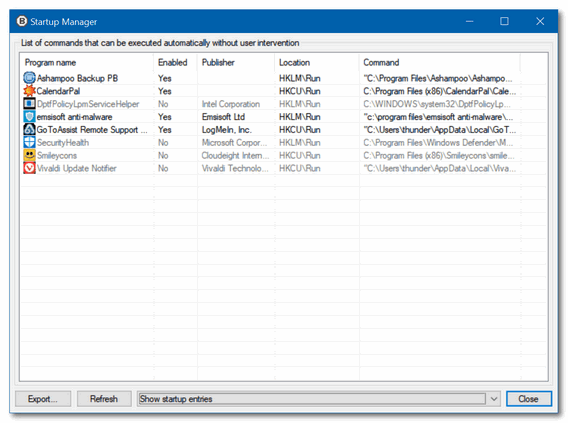 BC Uninstaller has many other useful features, like an excellent (and configurable) startup manager, and advanced options that show system components, protected items, and other options included for advanced users only. There’s an excellent video on the BCUninstaller Homepage. If you intend to download and use this advanced uninstaller, we think it would be a good idea for you to watch the video here. During setup, you can choose from Standard or Portable installation. Each is explained in the dialog to help you choose. BCUninstaller will scan your computer during setup – this takes a few minutes. BCUninstaller’s setup dialog. Default language is English (U.S.). Programs are color-coded for your convenience. Green means the program has a verified certificate, blue-gray means it has a Unverified certificate, pink means the application is not registered and light-blue means it is a Windows store app. You can select as many apps as you want to uninstall, and remove them all in one session. You can choose Uninstall if you want to confirm each uninstallation. 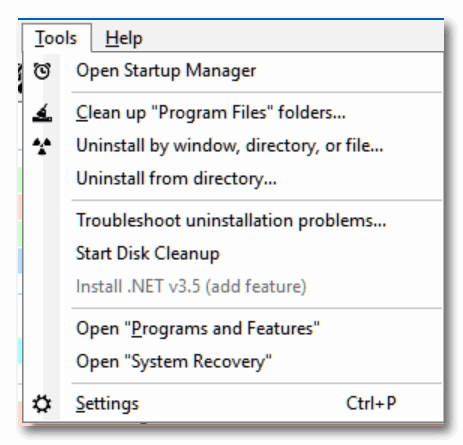 If you want the program to try to uninstall the programs without your intervention, you can choose “Uninstall quietly”. You have other options as well – these are clearly explained in the program’s excellent help pages. If you’ve not chosen “Uninstall quietly” you’ll need to confirm the uninstallations. Or you can tick the box under “Quiet” if you want the program to try to uninstall the selected items without any more intervention from you. The dialog above is very important and very thoughtful. It gives you the option to create a restore point before proceeding with the uninstallation. It also prevents a program’s uninstaller from automatically restarting or shutting down your computer, kills stuck uninstallers and forcefully removes the program, and much more. Once the uninstallations are done and all the leftovers are removed from your computer, you’ll get a confirmation like the one above. And some other very useful tools. If you want to read more about BCUninstaller and/or download it, visit the BC Uninstaller Homepage right now. Why should I use this uninstaller instead of any other? While it is true that there are many different uninstall managers out there, only few come close to the detection rate and versatility of Bulk Crap Uninstaller, When compared to the stock windows uninstall manager you might find that BCU will show many times more applications. To top it off, BCU is fully free and open source. You can freely modify it to suit your needs, or even better help improve it for the rest of its users! Even though BCU was made with IT pros in mind, by default it is so straight-forward that anyone can use it effortlessly! Why Bulk Crap Uninstaller? Surely there are better names? Out of all of its features, the ability to uninstall massive numbers of applications automatically is what defines BCU. Because of this it is one of the best tools for cleaning up long-running or pre-installed systems from, crapware, malware and other junk. Most of the basic uninstall managers simply miss this feature. Others require you to sit through the full process or use unsupported methods of uninstallation. With BCU you will have to be present only at the beginning of the process while uninstallers that can not be ran quietly are executed. Begins uninstallation of selected applications. Quiet uninstallation means that you do not have to click anything – the process is automatic. If it is impossible to quietly uninstall some items, a dialog will be shown with ability to remove the “loud” uninstallers from the selection. If the application has a Product code / GUID attached to it you can try using MsiExec to uninstall it. It is not guaranteed to work on all applications. Skips running the uninstaller (if it is available) and instead gives a list of files and registry keys that you can choose to delete manually. It is not recommended to use this method unless it is impossible to uninstall the application in any other way. Search all folders that are defined as default installation locations (usually only the Program Files folders) for leftovers. This includes empty folders and partially uninstalled applications. You will be given a choice of items to remove. Opens a small tool window. Drag and drop the cross over a window you want to scan. BCU will try to find the application that owns the specified window and show it on the list. 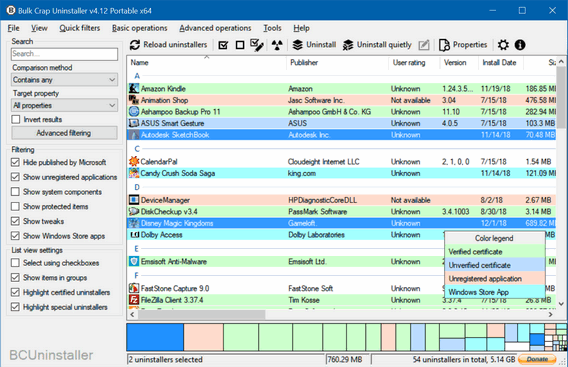 By selecting an uninstaller on the list user can use functions located on the toolbar above. 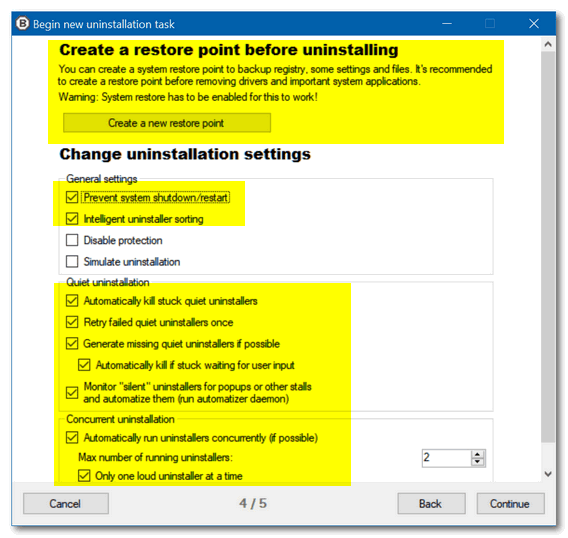 •Run uninstaller now – Force the uninstaller to run now. By default, BCU will check if the uninstaller will collide with already running uninstallers before executing it. This safety check can be disabled in the settings. 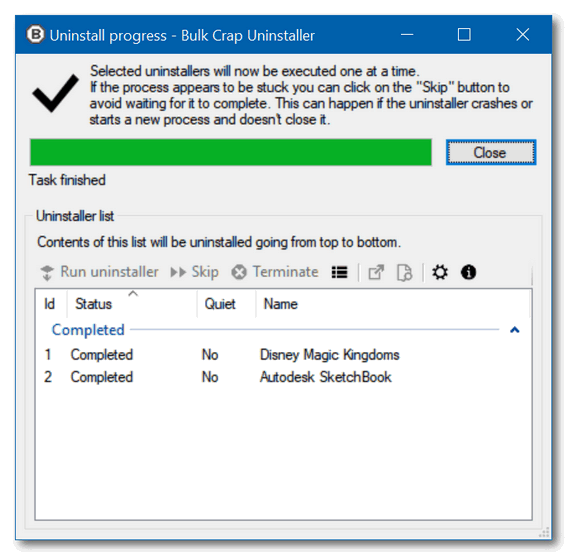 •Skip – Do not execute the uninstaller. If the uninstaller is already running BCU will stop waiting for it. •Terminate – Do not execute the uninstaller. If the uninstaller is already running BCU will terminate it before continuing. You can learn more about the program, or watch an excellent video showing you how to use BCUninstaller, and or download the program, you can do that all right here. HOw does this stand up against Geek, Revo and HiBit, which you have recommended? I have all three of these. HiBit and BCUninstaller are the only two free uninstallers that I know of that let you uninstall more than one program at a time. BCUninstaller, I think. is superior because it can kill stuck uninstallers and proceed with removing the program(s). HiBit and BC are both faster than Revo and clean up leftovers better. Revo, BC, and HIBit all have additional tools. But Geek is fast and easy. Geek is simple and not as thorough as the others, but it’s the fastest. Revo is the slowest and very thorough and not free (generally). HiBit is thorough, fast and has lots of tools. BCUninstaller is the most advanced and also the most complex with many advanced features that may confuse some users. 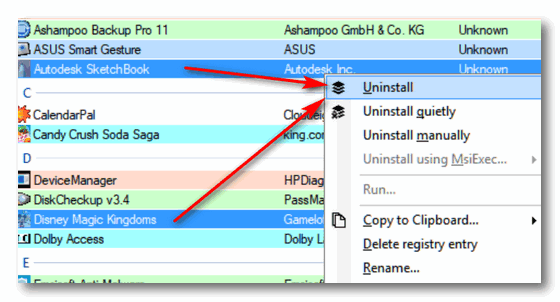 HiBit and BC are the only free uninstallers that let you uninstall more than one program at a time. Which site should we download from ? There are two to choose from ? FossHub or GitHub ? Fosshub is the download site, GitHub is the technical information site. Does BCU work on an iMac?